Older, well-established neighborhoods as well as new developments flank Covington Place. West of it are the newly constructed homes at Ashton Palms and Ashton Pointe. Admirals Walk, a condominium community spreads southwest of Covington Place. Towards north are the single family homes of Magnolia Pond and Country Walk, which are about the same vintage as those in Covington Place. This community consists of 70 homes built between 2000 and 2002. The prime choices of Covington Place homes for sale are those that back up to the property’s two ponds and thus are afforded with serene water views. For the resident’s convenience, Covington Place was developed with two entrances/exits. One is on Gantt Road and the other at Ashton Road. The two interior roads within the community are notably publicly owned and hence, the county takes care of its maintenance and enforces some restrictions on certain activities on these streets. Residents of Covington Place enjoy quick access to Interstate 75 via Exit 205 on Clark Road which stretches south of the community and lead eastward to the interstate highway. With these infrastructures well in place, trips are easy to the various life and leisure centers north in Lakewood Ranch. Nearby roads arterial to Clark similarly provides accessibility to points of interest southward to Palmer Ranch. Even more advantageous, the immediate vicinity of Covington Place, shops and restaurants as well as healthcare facilities are already within easy reach along Clark Road. The same road corridor leads westward to the beaches of Siesta Key. 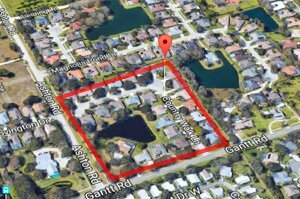 Further adding to the market value of Covington Place homes for sale, the community has easy access to public transportation, and top-rated schools, like Sarasota Middle, Ashton Elementary and Riverview High, serve its locality. Typical homes for sale in Covington Place have floor areas of between and 1,700 and 2,600 square feet designed with three to four bedrooms. Pricing of these residences range from the $200s and the $300s which approximate the price levels in its neighboring community, Country Walk. 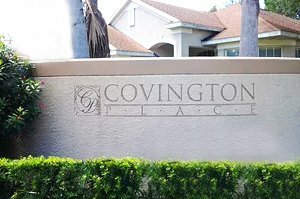 Covington Place residences are seldom listed in the MLS of Sarasota homes for sale. Closed deals and listings of properties in this community for most of 2017 were just on four residences. Covington Place offers a laid-back lifestyle encouraging homeowners to stay for good. Young families are especially drawn to this community as it is an ideal place to set up roots in and be identified with. Empty-nesters and retirees are also drawn to stay at Covington Place for good, given this community’s great location and the friendly neighborhoods within the Bee Ridge area. The endearing character of Bee Ridge communities is enhanced by their neighboring Twin Lakes Park. The local neighborhoods often have get-togethers at this 123-acre sports and recreational area. 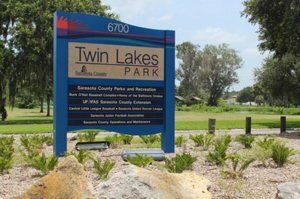 Besides its soccer and football fields, this park also features picnic areas and playgrounds, ideal for community bonding. Below are the current real estate listings available at Covington Place.